Jesus extends his kindness by doing for us what we cannot do for ourselves. Consider his healing of the lepers in Luke 17. These men couldn’t heal themselves. They needed someone to help them, but they faced barriers of isolation. They needed someone to reach across the boundaries and into their deepest needs in order to move beyond where they were into a life full of hope. They needed Jesus. Jesus didn’t have to help that day. He had plenty of other things he could have been doing—very good things, such as teaching his disciples and followers or correcting the many wrongs being done in the name of God by religious authorities of the day. But Jesus doesn’t stay in the “safe” zone of an inner circle of friends and family or even church family. His kindness wasn’t dependent on a specific heritage. His kindness was dependent on need—and it still is. In some way, you need Jesus right now. He knows your needs better than you know them. You might take your perceived needs to him and wonder why he’s withholding his kindness from you, but he’s not. His response is always kind, so however he responds in every circumstance to every plea comes out of his kindness. Let him move in your life—even when you don’t comprehend exactly what that means or looks like. 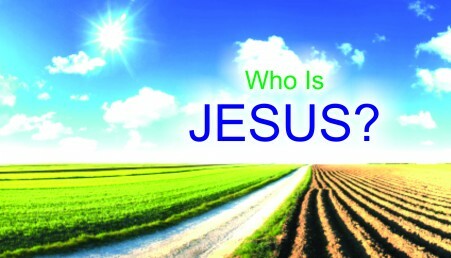 Jesus is kind…to you. I waited for you today. I had hoped to meet you in the quiet corner of the coffee shop you frequent nearly every day. I enjoy sitting across from you, listening to your heart. Hearing you share about your daily life thrills me. I’m honored when you share with me. I want to walk through life with you. I’ll listen to the details and never trivialize them. I’ll listen to your dreams no matter how silly or out-of-reach they might seem. I’ll help broaden your perspective to see the big picture. I just want to sit with you. I even treasure our silence. It’s the time we spend together that I value. 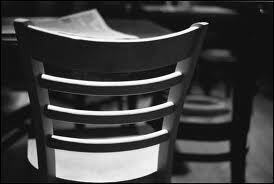 I waited, hoping you’d slip into the empty chair across the table from me. I know you’re busy. Even on the days when your schedule goes smoothly, it’s difficult for you to fit anything extra. To be honest, I wish I wasn’t “extra.” Perhaps you don’t understand how invested I am in your life. I want you to know I support you. I love you, and because of that love, I will always approach you with compassion, patience, kindness…and yes, accountability. You might not always like what I say to you, because my love for you is bold enough to confront you when you need to be confronted. I care too much about you to let you continue with faulty thinking or unhealthy behavior – no matter how extensively you’ve rationalized it. You probably get mad at me sometimes. Other times you might be frustrated. On those days, you avoid spending time with me. On the days you don’t push open the doors and purposefully walk toward me and sit to share time with me, I miss you no matter what your reason is. When I look at the empty chair across from me, I am sad. I watch people coming and going; many of them are walking by themselves, connecting with no one but the person handling the requested exchange of money and goods. I listened to people placing their orders with specific instructions and becoming disgruntled when the end products aren’t exactly as expected. Every now and then, I catch someone’s glance and exchange a quick smile. But I long for substantial connection, where someone is open to my investment into them. I hope you’ll join me to spend time and share life with me soon. The empty chair and my longing heart are waiting.